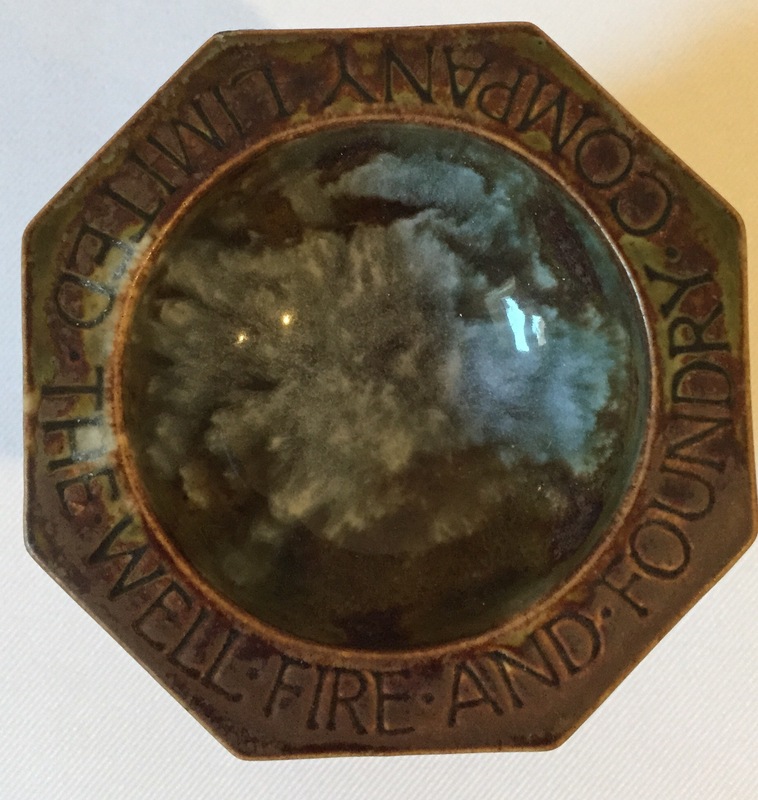 These charming small size fonts are often mistaken for just that – a mini church font but they are in fact so called fire wells. It is hard to imagine their actual function in that the two illustrated measure a diminutive 8cm tall and the full size versions I have seen around 20cm. 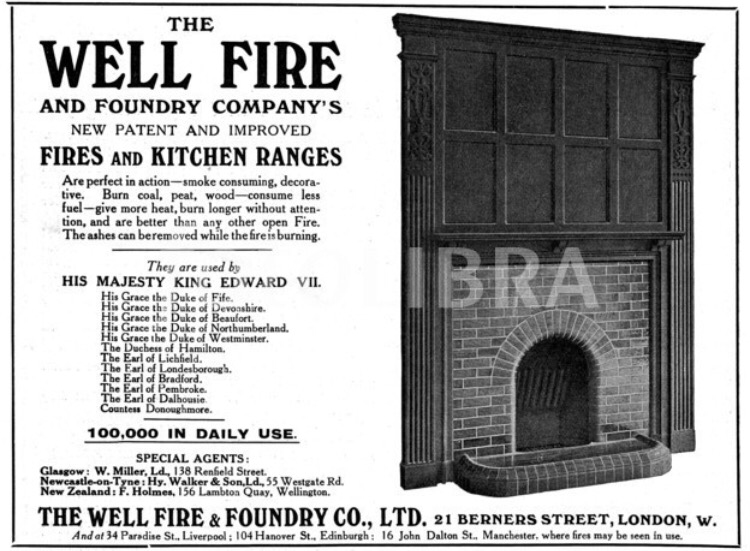 They have been previously described as examples of Doulton advertising for themselves, but the Well Fire and Foundry Co was a company of yesteryear as you can see from this advert found on the Internet. These items for the company date to the 1920’s and 1930’s. 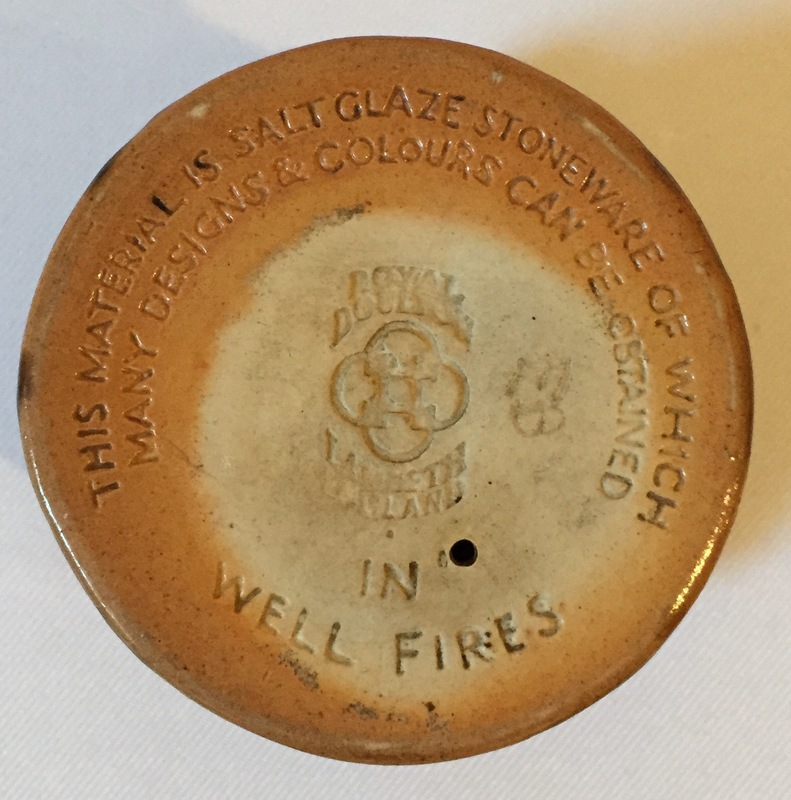 The darker of the two examples pictured above is an advertising piece for the Well Fire and Foundry Company Ltd and the base details options available. 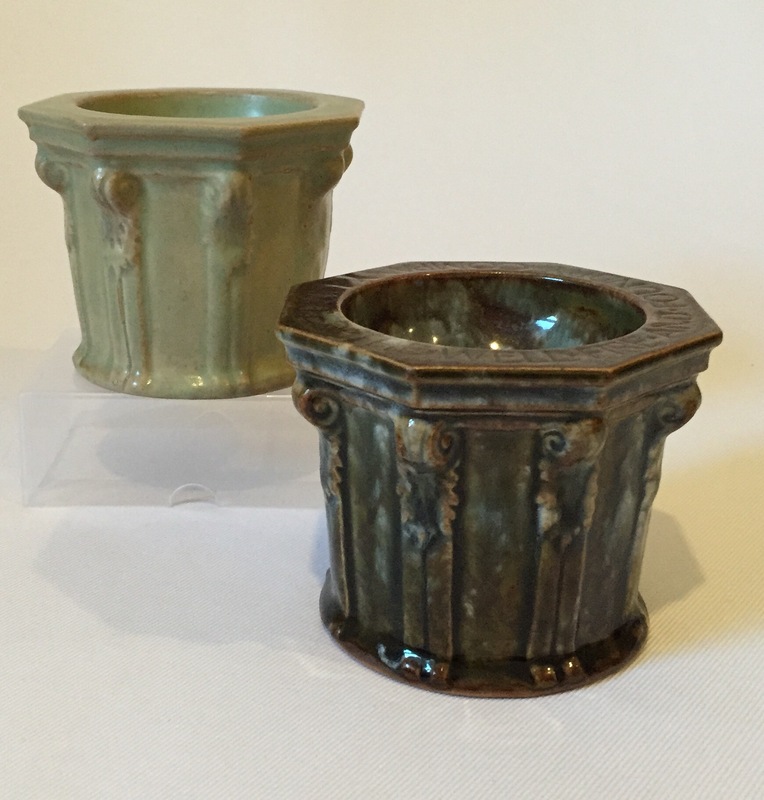 The light green version in a matt glaze bears no indication of its use but simply the usual Doulton impressed mark, suggesting Doulton sold them too as fancies, or ashtrays, or indeed mini well fires!